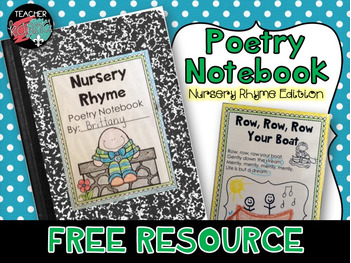 Poetry Notebook Nursery Rhymes Edition! FREEBIE!! This product comes in the format of PDF and there are 74 pages including the cover and final pages. While I designed these activities to work with Kindergarten, and 1st grade, I have also effectively used these as reading interventions with 2nd and 3rd grade students. The Poetry Notebook Poetry Edition is perfect for guided reading groups, center or station, intervention strategy, small group activity, or whole group review activity. Sound Box Pic Strips SET #!